TourinRome, is a tour company managed by a team of Rome’s official tour guides. Thanks to the experience and professionalism of our staff we can provide high quality services. We can organize tailor made guided tours to satisfy all kind of requests, as for example the Rome Tours For The Disabled. We have a long experience about guided tours accessible to disabled persons and to anyone who has mobility problems. The itineraries of our Rome tours for disableds and its county, have been designed to use the most accessible routes possible for wheelchair users and to enjoy the special benefits for disableds. The Rome Tours For The Disabled are comfortable and safe. For all of our tours that includes the visit to a museum or an archaeological area you will skip the line taking the advantage of a privileged entrance. For transfers we always use vehicles with wheelchair ramp (van or buses) and golf cart if it is possible. The Rome Tours For The Disabled listed below can be adapted to be accessible for disabled tourists and wheelchair users. Rome in one day tour accessible to disabled and wheelchair users. Rome in two days tour accessible to disabled and wheelchair users. Information to get around Rome with a wheelchair. Most of the streets of Roma are paved with Cobblestones and few public transportation are adapted at the needs of disabled visitors. 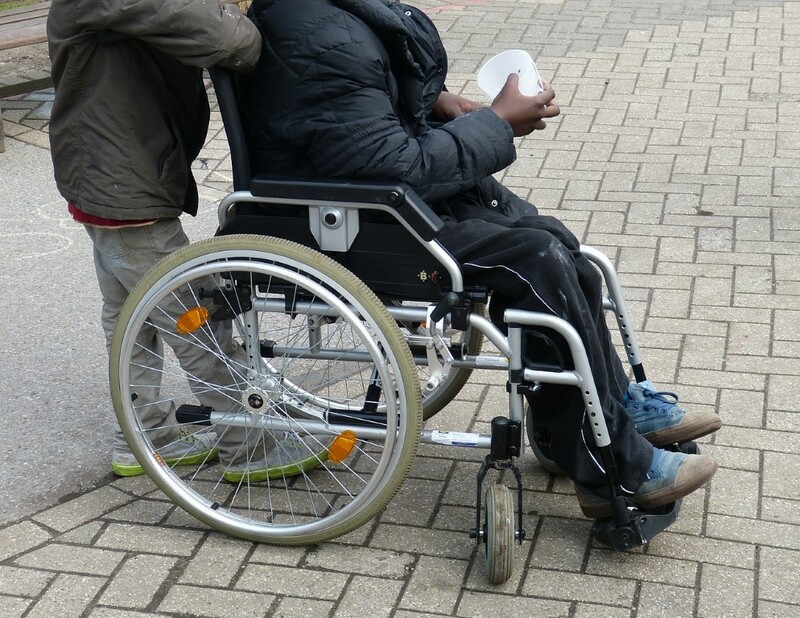 There are not many curbs or sidewalks and many streets are irregular for this reason the wheelchair can catch on the unleveled cobblestones risking to fell. Also the shops often have have a step to get into. 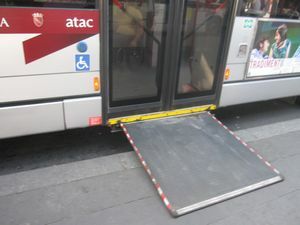 Unfortunately few Rome’s busses are equipped with ramps that extend to the curb for wheelchair users to get and it is not easy to distinguish them. Rome’s city centre has very narrow streets, where buses can drive, so tourists have to walk. Both of the busses below are accessible. Metro station Valle Aurelia Cipro/ Musei Vaticani are accessible. They can provide wheelchair accessible van or buses with fold down ramp or lift and the wheelchair passengers are securely locked into position. The drivers are English speakers and particularly experienced in driving with disabled persons. This company can plan tours, excursions and transfers from the airports, from Civitavecchia cruise terminal to Rome.